Iowa County is a place of business, family, and adventure. With a strong commitment to family life, our communities offer everything you need—affordable housing, wonderful health care, great educational services, arts and craftsmanship, and a variety of recreational opportunities. Annual celebrations and attractions bring residents and visitors together to celebrate every year. From the Iowa County Fair, Maifest, Wurst Festival, Iowa Model A Day, Oktoberfest, Prelude to Christmas, and Winterfest, communities celebrate the things that make life worthwhile. A variety of unique specialty shops, Amana furniture manufacturers, and wineries in the area make living in Iowa County a unique experience for both residents and visitors. With Interstate 80 traveling right through the center of the county, it’s easy to visit any of our communities, whether for business or pleasure. Iowa County derives its name from the Iowa River, which runs through the county, and for the Ioway Indian Tribe. It was a natural gateway to the west. Since the mid-1800s, early pioneers traveled through Iowa County and into the Iowa wilderness. Pioneers and military wagon trains wound their way through oak groves and expanses of tall-grass prairie along the Diamond trail. Settlers followed the Iowa River and English River into the heart of the country, settling on farms and in small towns. The county seat of Iowa County has always been Marengo. The current courthouse was erected in 1892. It is a two-story, stone building ornamented with turrets and a tower. 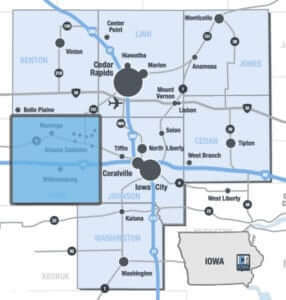 Iowa County is bisected by interstate 80 and conveniently close to two of Iowa’s major metropolitan areas, Cedar Rapids and Iowa City. 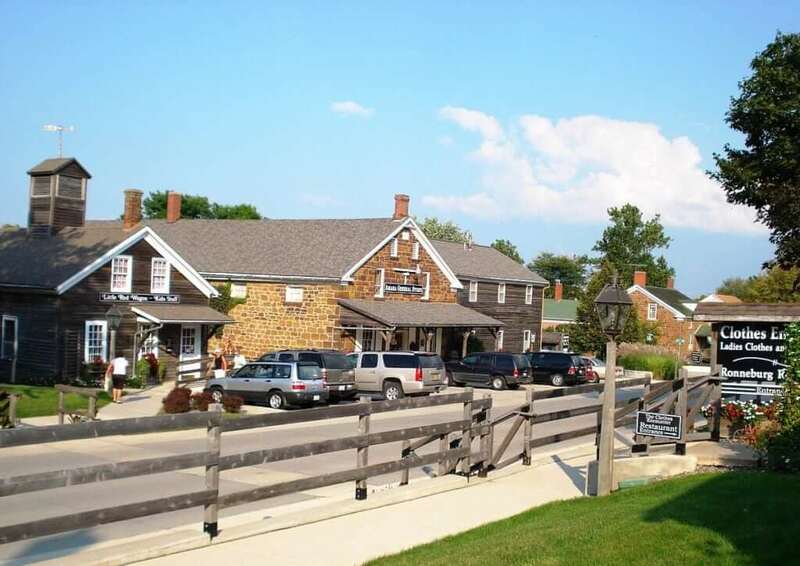 It boasts two of the state’s leading year-round tourist attractions, the quaint and picturesque Amana Colonies and Tanger Outlet Mall, located in Williamsburg, Iowa adjacent to I-80. Iowa County is also home to several industries and manufacturers. We invite you to take a drive through our county and see what you’ve been missing.